The use of diamond wire saws has many advantages. The sawing wire is diamond-covered on all sides. You can saw in any direction with the wire saws allowing for complicated 2D contours. The saw can be applied for example also in the manufacture of conical electrodes for sink erosion. A further advantage is the minimal heating of the diamond saw. The diamond wire can be easily fixed with low clamping force and a narrow cut allows for minimal waste and cutting dust. The diamond wire always remains free and never jams. The multiple bending of the wire means that the chip space is cleaned more effectively during each cycle than is the case with rigid tools. 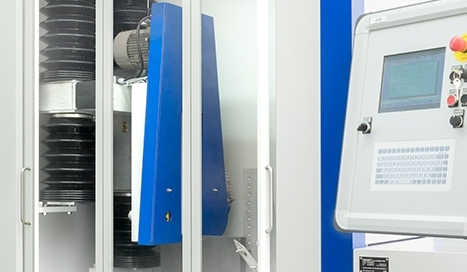 The tightly guided saw wire enables precise cutting and the diamond wire saw is so designed that there is no chipping, making it particularly suitable for fragile materials. Our saws for example are ideal for the sawing of contours in graphite. Precision in following the pre-programmed contour is achieved by the servo motor driven ballscrew feed rate. In connection with the automatic tool radius correction during the process, an optimal result is achieved. Noteworthy also is the simple programming of the cutting contour by means of any CAD system or by the conversion software TwinView developed by Cad2Cad. DRAMET is a leading manufacturer of thin diamond saw bands, endless diamond saw wires and diamond tools. 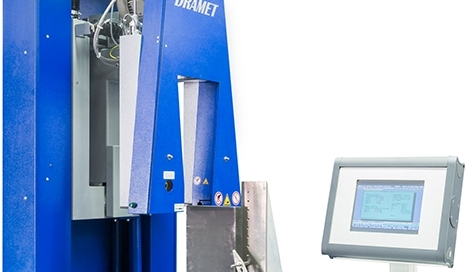 DRAMET offers a wide range of specialized tools and machines from one single source. However, your IP address is coded in our evaluation so that we are not able to draw any conclusions about you personally. We wish to understand our users in order to continuously improve our website. We are able to do this only if we know our visitors' behavior on the website. For this reason we use Google Analytics. If you are not in agreement with this, then you can block the installation of cookies through the appropriate setting in your browser software.